Rolls-Royce unveiled the brand's fastest production model ever, but being that this is a Rolls-Royce we're talking about, the Wraith isn't exactly a sports car. The Wraith is very big, weighing about 5000 pounds, despite being only a two-door car. 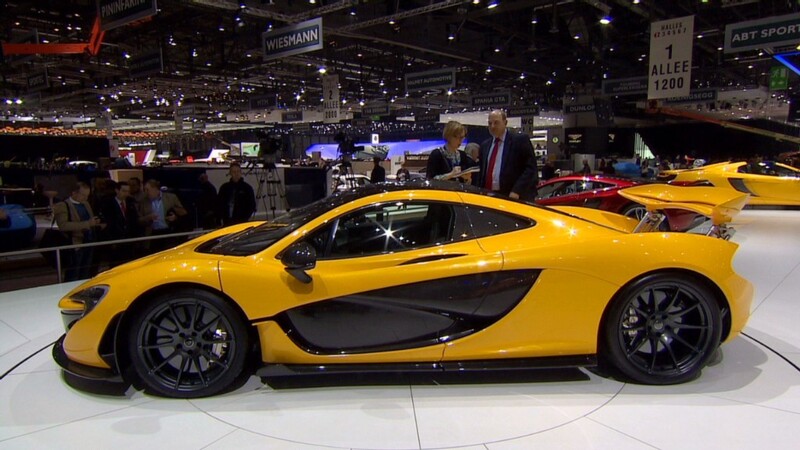 It was among the hundreds of vehicles that were unveiled this week at the 2013 Geneva Motor Show in Switzerland, including new models from the likes of Ferrari and Lamborghini. Despite its heft, the Wraith is capable of surprisingly respectable performance along with the luxury features that owners have come to expect from a Rolls. With its 624 horsepower V12 engine, the Wraith can hurtle from zero to 60 miles an hour in just 4.4 seconds. The car's 8-speed transmission gets information from a GPS unit so that it can select gears based in the road ahead. For instance, it can downshift the moment a hill or curve is approached. That helps with both performance and fuel economy, Rolls says. The car's interior, featuring light-colored wood grains, was inspired by luxury yachts, according to Rolls-Royce. The car's ceiling liner is peppered with fiber optic lights that make it look like a star-filled night sky. 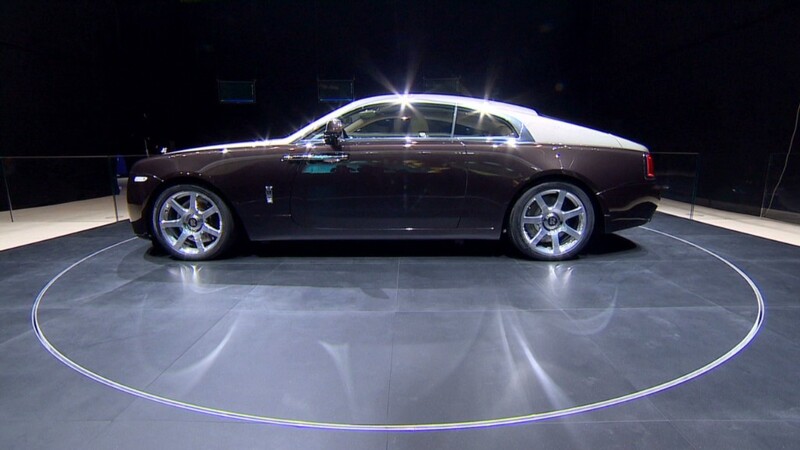 The body, which slopes down cleanly at the back end, was designed to look especially good in two-tone paint jobs, Rolls-Royce spokesman Nigel Wonnacott said. While still based in Great Britain, Rolls-Royce is owned by the German luxury automaker BMW, which also owns the British brand Mini.